The annual spring clean used to be something that households looked forward to, as a welcome chance to dust away the winter cobwebs – both literally and figuratively – let some fresh air in and leave the house gleaming in the early spring sun. But according to new research from Appliances Direct, Brits are finding spring cleaning less appealing than ever as their lives are becoming increasingly busy and the growing number of items in their homes makes the task bigger than ever. So, how exactly do people feel about the traditional spring clean today? Appliances Direct carried out a survey which led to the discovery that almost two-thirds (62 per cent) of UK households no longer do an annual spring clean, with nearly three-quarters (72 per cent) of respondents admitting that this is because they dislike doing housework. It was also found that Brits are paying large sums for gadgets to help them cut corners when it comes to cleaning their home, with 49 per cent of those questioned spending between £300 and £1,000 on specialist cleaning appliances. Meanwhile, nine per cent of respondents reported spending more than £1,000 on such gadgets. Almost half (44 per cent) expressed a desire to take this one step further and have a robot that could clean their house for them, with more than one-quarter (26 per cent) of those surveyed already admitting to owning an electrical cleaning gadget such as a robotic vacuum or steam mop. Mark Kelly, marketing manager at Appliances Direct, commented: “Whether it’s done weekly while dancing around the house to our favourite tunes or just because the house is beginning to resemble a hovel, it’s likely that everyone will have to clean or do housework at some stage in their life. Robots are expensive and ones that can clean a house thoroughly are yet to be made available to the mainstream consumer market, so despite half of households wanting one, this isn’t exactly a realistic solution. But professional cleaning services are available, with seven per cent of those questioned by Appliances Direct already using one to take the chore of spring cleaning off their hands. In addition, more than three-quarters (77 per cent) of the survey respondents expressed an interest in hiring a professional cleaner one day in the future. 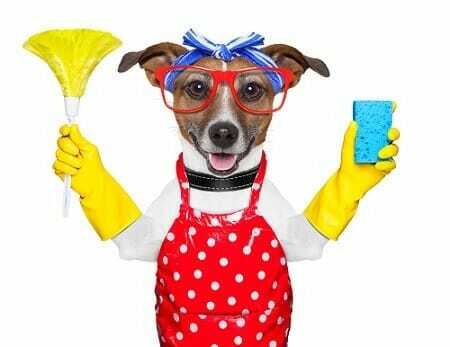 Doing so would take the now-unappealing job of spring cleaning off householders’ hands, providing them with the reassurance that their house would be kept clean not just at the start of spring but all year round. It would also help to save them money in the long term, as they would no longer need to be investing so much in fancy cleaning gadgets that don’t get used. Overall, hiring a professional cleaning company could be the way to make spring cleaning appealing once again.